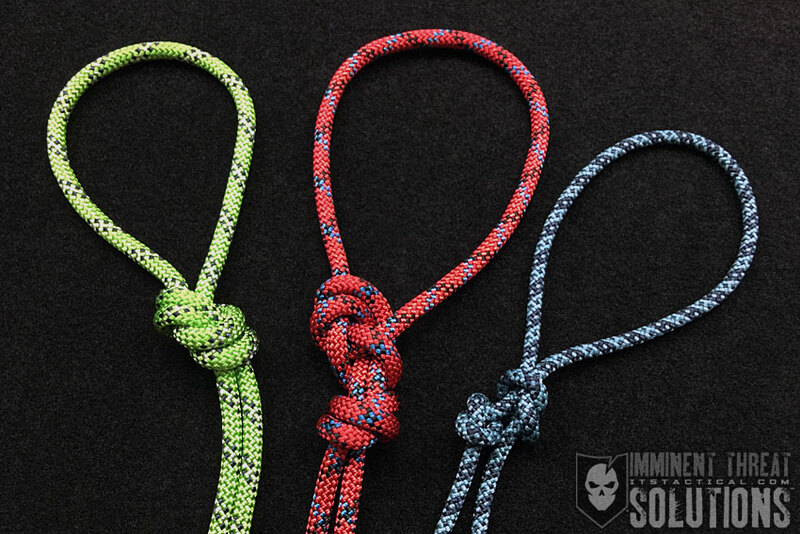 In this week’s continuing reintroduction of our Knot of the Week series shot in HD, I’ll be going through the Figure-Eight Bend and a slew of variations on one of the most well known climbing knots. We’ll first look at the standard Figure-Eight, talk about joining lines together with the Figure-Eight Bend, jump over to a Figure-Eight on a Bight, compare that with the Threaded Figure-Eight and lastly finish up talking about the Double Figure-Eight on a Bight. 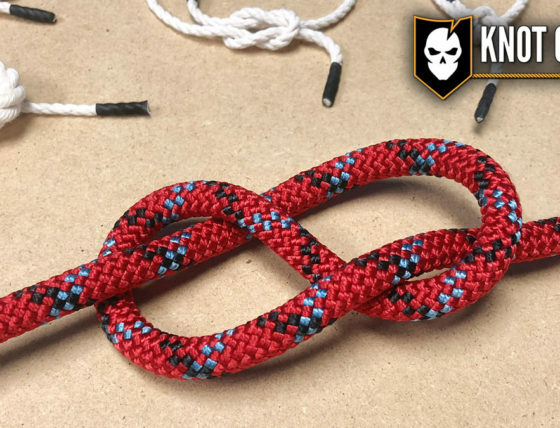 The Figure-Eight is in my group of essentials when it comes to climbing knots and I’ve used many of these variations over and over again when climbing recreationally and as a BSA Certified Climbing Instructor for my son’s Boy Scout Troop. Remember that tying knots is a perishable skill that must be practiced until it becomes second nature. 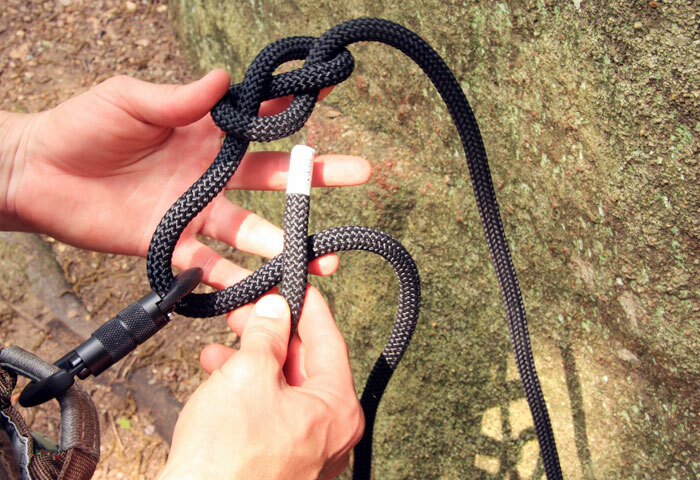 To avoid this issue and others associated with introducing a carabiner into the mix, use the Threaded Figure-Eight to tie directly into a harness. The Threaded Figure-Eight is also known as a Figure-Eight Follow-Through. Note: The rope used in the video and photos above is BlueWater Ropes Assaultline Static Rope. Also known as the Super Eight, Canadian Eight, or Double-Loop Figure-Eight, the Double Figure-Eight on a Bight can be advantageous in situations that might call for the extra security of a second loop. It’s also easier to untie after being loaded when compared to the other variations of the Figure-Eight mentioned above. 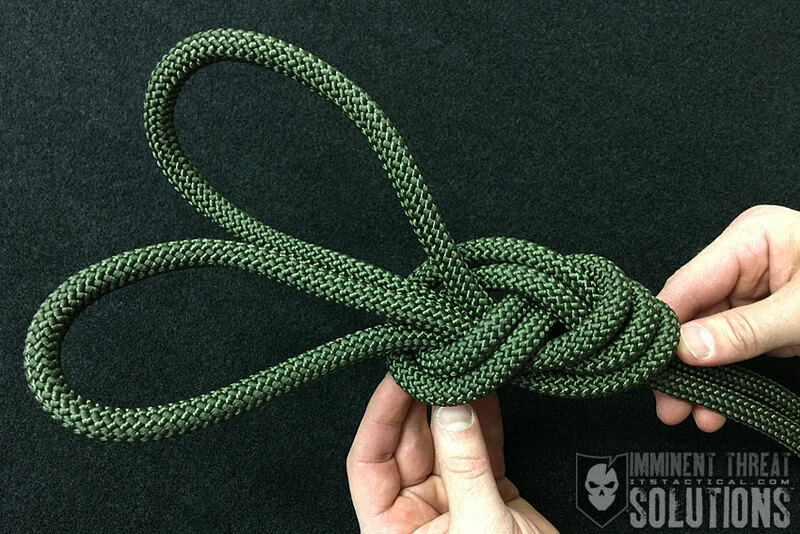 This can be used to secure a rope to an anchor using both loops, or independently by adjusting each of the “bunny ears” to equalize between two anchor points. Don’t use a single loop, leaving the other unused. If any slipping occurs you could wind up with a melted rope due to the friction produced.